To support the Democracy and Freedom for which they fought. To reinforce the principle that each citizen has a duty to their Country. To remember and record the part the participants played in the War. To continue the bonds that were forged as comrades-in-arms. Before that first session ended, it was decided to include veterans who served stateside to be part of the group, to tentatively refer to the newborn association as the American Legion, and to meet again in St. Louis in May. More than 1,100 delegates from all over the United States assembled in St. Louis from May 8-10, 1919, where the tentative name was made official. The first National Convention of the American Legion was held in Minneapolis from November 10-12, 1919. A parade of 15,000 members marched through downtown Minneapolis to celebrate the end of the Great War, then known as Armistice Day. Congress did not officially designate Armistice Day as a legal holiday until almost 20 years later, on May 13, 1938. At that time, the purpose of the day was to promote world peace and honor the World War I veterans. After the second global horror ended in 1945, some communities marked Armistice Day by honoring veterans of World War II as well. 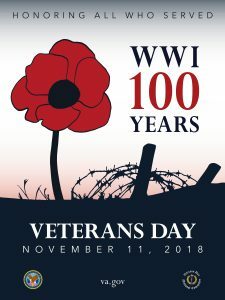 In response to these grass-roots celebrations, in 1954 Congress declared that Armistice Day would be renamed Veterans Day, and that its purpose was to recognize veterans of ALL wars in which the United States fought. 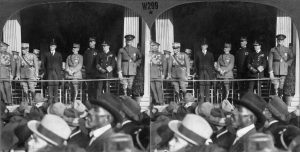 As the centennial remembrances of World War I come to an end, the centennial year of the establishment of the American Legion begins. Consider honoring those who have served in the American military with a moment of silence on the 11th hour of the 11th day of the 11th month. Also consider honoring veterans with your prayers and support.